[0:50] <__builtin> is the camera module compatible with the Zero? [1:40] <PiGuy> Hello how can I port an SDL2 program to run on Raspbian Wheezy Linux? [1:43] <uriah> PiGuy: which game? [1:48] <PiGuy> uriah: Do you know how I could go about doing this? [1:48] <uriah> PiGuy: is it a linux sdl demo? [1:49] <PiGuy> uriah: No it is a C++, SDL2 demo program I made of the different libraries. I only used SDL2, SDL2_Mixer, SDL2_TTF, SDL2_Image, and SDL2_Net. [2:04] <PiGuy> uriah: Thanks the second one is great :) I need an Linux executable file. How can I make one of those? So basically a Linux Program Executable. [2:11] <uriah> PiGuy: you must have .cxx files of your project, right? [2:11] <uriah> and, well, does the program you used to code your demo have an option to export and generate a makefile (if necessary)? [2:12] <PiGuy> uriah: Yes I have all the source code. [2:13] <uriah> PiGuy: how many cxx/cpp files does your project have? [2:36] <PiGuy> uriah: Are you still there? [3:00] <uriah> and apparently better? [3:01] <PiGuy> uriah: What do I do with CMake? [3:02] * r_02 feels left out. [3:03] <uriah> r_02: where did you tell ssh-keygen to store the files? [3:04] <uriah> and how did you try to access them? [3:06] <uriah> PiGuy: but yeah, cmake/make are tools to automatically build your software in the right order, with the correct options, etc. [3:06] <PiGuy> uriah: Can I get an executable program file? [3:07] <r_02> Saving the key failed: /home/pi/.ssh/id_rsa. [3:09] <PiGuy> Can I solder a speaker to the 3.5mm audio jack rather than using the plug? [3:18] <PiGuy> methuzla: So I can't do that with a Raspberry Pi 2 Model B? [3:21] <PiGuy> Wait what is it called? [4:22] <methuzla> for what purpose? [5:21] <AMFT> anyone willing to give me some advice? [5:25] <AMFT> I am trying to get a list of components together for a project I am working on and need some guidance. [5:26] <Ispira> someone will surely have an answer. [5:26] <cstk421> has anyone used rpi-monitor ? [7:38] <Ispira> it's mainly up to individual software to support it. [7:48] <Ispira> $5 for a zero can't really go wrong, you know? [7:48] <Ispira> The pi 2 is crazy powerful for what it is, as well. [7:56] <Berg> maybe they7 just smite them? [8:15] <AiGreek> perhaps he lost the connection ?! [8:18] <AiGreek> maybe it's stupid but .. what was the Temp at this moment ...? [8:19] <Ispira> yeah, is it overclocked and what about temps? [8:41] <Lonefish> Anyone got any ideas today? [8:41] <Lonefish> :( Getting desperate..
[8:47] <pigrit> did anyone give much of a go to vocal recognition/command ? [9:00] <[Saint]> Lonefish: if it helps, you're not the only one. [9:01] <Lonefish> Apparently it's from hippocrates. [9:01] <Lonefish> Yeah, just figured it out too. [9:01] <Lonefish> pigrit: explain yourself, entertainer! [9:03] <[Saint]> " Nam calidissima morborum genera summa cura , ut restringenda sunt aptissima ." [9:03] <[Saint]> - "For extreme diseases, extreme methods of cure as to restriction are suitable." [9:04] <pigrit> Lonefish said "anyone got any ideas today, getting desperate"
[9:04] <[Saint]> Because Edison is well known for his supreme lack of ideas? [9:05] <[Saint]> It's a lie Berg. [9:05] <Lonefish> SEE, that one I do get. [9:07] <AiGreek> about what ? [9:10] <Lonefish> Too slow? Or just doesn't pick up when it's being talked too? [9:11] <AiGreek> it's pretty weird to talk to my house. "hey house ! Lights on !" [9:12] <Lonefish> you should be able to use an end command then? [9:14] <pigrit> AiGreek the headset ? [9:14] <pigrit> push to talk ? [9:17] <Lonefish> Haha, then why the greek nick? [9:23] <Lonefish> Nice, a french guy that hates french. I like you already. [9:24] <Lonefish> And your english is good, what are you talking about? [9:26] <pigrit> french are cool, didn't you see Hello Hello ? [9:26] <Lonefish> They don't play it in france? [9:27] <Lonefish> I'm guessing you're talking about the british series? [9:29] <Lonefish> It is I! Leclerq! [9:31] <pigrit> which countries do you guys mention in the "there's a x, a y, and a z" jokes ? [9:37] <pigrit> and the norwegians go "hey, they really do speak like the chef!" [9:45] <pigrit> is it "En cours de livraison" ? [9:47] <pigrit> "suivre un colis"
[9:47] <AiGreek> "Votre colis est prêt à être expédié, il va être remis à La Poste." [9:47] <AiGreek> "date : 01/12/2015"
[9:47] <pigrit> doesn't it mean it wasn't sent yet ? [9:48] <AiGreek> normally yes but it's way to long !! [9:48] <pigrit> "your package is ready to be sent, x x x be x x the post office" ? [9:48] <AiGreek> "it will be send to the post office"
[9:54] <AiGreek> the official display ? [9:54] <pigrit> it claimed "sent between 3 and 7 working days"
[9:55] <pigrit> when they're out of stock it says "out of stock"
[9:56] <pigrit> "DISPONIBILITÉ : Stock fournisseur - disponible à partir du 20 Décembre"
[9:57] <pigrit> that looks good, doesn't it ? [9:59] <Lonefish> indeed. Still warming up. [10:00] <Lonefish> 3 hours is still a lot. [10:00] <Lonefish> That's more than belgium. [10:04] <Lonefish> Haha, where are you from? up north I guess? [10:04] <Lonefish> Armand: Belgium or France? [10:04] <Armand> One, then the other..
[10:06] <Armand> One of my colleagues here is a born Bulgie, so we said that we'd pass through. [10:07] <Armand> I'm planning a surprise trip for our next wedding anniversary. [10:08] <Armand> AiGreek: Ain't she kinda dead ??! [10:09] <AiGreek> "Honey for our anniversary, we will meet the Pi Foundation, cool isn't it ?" [10:10] <AiGreek> it's not elisabeth 2 the queen ? [10:10] <Armand> Queen, yes... not the Queen Mother. [10:11] <Lonefish> Cersei is queen mother! [10:11] <Lonefish> Nice, always wanted to work in the uk actually..
[10:12] <Armand> Lots of hosting providers/datacentres. [10:12] <Armand> I work for a webhosting company that was recently acquired by HEG. [10:14] <Lonefish> Meh, hate the junior part. [10:15] <Lonefish> Where's the cake? [10:15] <Lonefish> Is it that bad? [10:16] <Armand> Slough is a dive... My wife and I are moving to Maidenhead. Much nicer. [10:25] <Lonefish> Haha, I'm thinking of switching. [10:25] <Lonefish> Or want to start a french-belgian raspberry startup? [10:33] <Lonefish> Like continuous screaming? [10:34] <Lonefish> You should loop until it's fine again. [10:35] <AiGreek> pigrit NO !! [10:47] <ScrumpyJack> ay. anyone have experience with the UPS PIco from PiModules? [13:03] <gordonDrogon> creazur, AIUI, it's Win 10 IoT - ie. intended an an embedded controller not a general purpose computer. [13:04] <gordonDrogon> if you want a portable solution for email & web, get a smart phone - or use a Pi with Raspbian in a suitable case with screen, etc. Pi works fine for lightweight web & email. [13:09] <yang> Is there any scheduled production upgrade after RPI-2 ? [13:10] <gordonDrogon> yang, not sure what you mean - a version 3 or more Zeros being madE? [13:11] <gordonDrogon> who knows. I don't know if a successor is even planned. [13:11] <yang> gordonDrogon: I mean zero is less poiwerfull than RPI-2 , I am wondering if a more powerfull one than RPI-2 will be deisgned soon ? [13:14] <pksato> if need more power today, have other SBCs. [13:14] <pksato> at high price. [13:36] <malinus> What's (usually, i.e. in debian) the name of the service that detects when a new USB-device is connected, and loads the correct module? [13:58] <molecular> hello. I'm trying to get audio to work in osmc on an old pi using mplayer. "aplay -l" says "no soundcards found...". 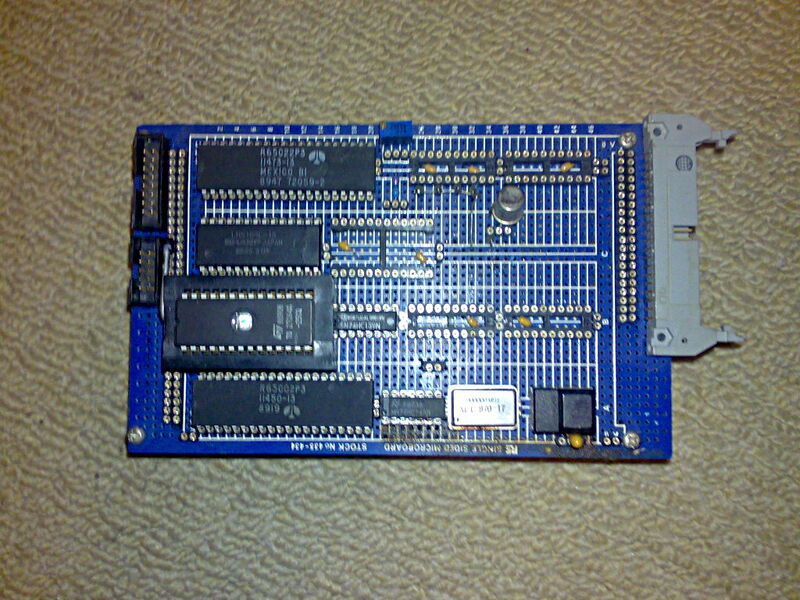 snd_bcm2835 module is loaded. any ideas? [14:04] <pigrit> cat /proc/asound/cards ? [14:06] <molecular> maybe I should just try raspbian instead of osmc? [14:22] <pigrit> plugging and unplugging, could it be a power issue ? [14:23] <pigrit> 5M ? hyperion ? what ? [14:23] <Twistedgecko> logitech wireless keyboard, xbox one controller... are the gpios showing something? [14:24] <pigrit> to be honest I hoped your question was along the lines of "is it any good"
[14:24] <Twistedgecko> is it any good? [14:26] <pigrit> tried a different usb port obviously ? [14:26] <pigrit> warning ? does it beep or something ? [14:29] <Twistedgecko> do we still use fish? [14:33] <Twistedgecko> f310 or whatever? [14:33] <Twistedgecko> just shows it working for people! [14:36] <pigrit> ...we not on wheezy anymore ? [14:38] <pigrit> there's a newer raspbian ? [14:39] <pigrit> any reason to upgrade ? [14:39] <Twistedgecko> what are you guys using the pi for? [14:43] <gordonDrogon> or sugru, stuff like that. 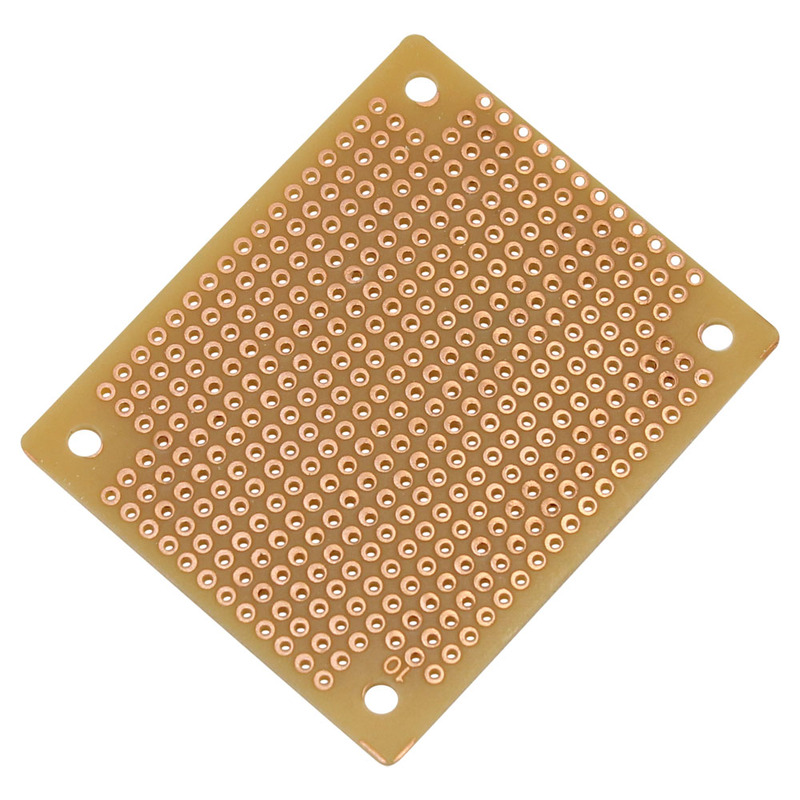 [14:46] <ali1234> like, after you solder the components in, how do you connect everything together? [14:46] <pigrit> no rails on the other side ? [14:46] <gordonDrogon> oh that's just perf board. you wire it all up underneath. [14:46] <ali1234> doesn't that just create a huge mess? [14:47] <gordonDrogon> https://projects.drogon.net/adafruit-protoplate-for-the-rasbperry-pi/ <-- that's an early one from adafruit - there's pictures of the flip-side of it. [14:47] <gordonDrogon> stripbiard was cheaper than todays protoboards 35 years ago..
[14:48] <Twistedgecko> that's too old for me! [14:51] <gordonDrogon> I learned to solder a long time back - when I was about 13-14 I think. Hm. 40 years ago now. [14:51] <mlelstv> less tidy after you had to modify some wires. [14:52] <gordonDrogon> ali1234, yes - these days it's affordable (for some value of affordable). [14:54] <gordonDrogon> it wasn't cheap, but my test-batch of 6 PCBs cost me under �100. the next 600 were far cheaper as the bulk discounts really kick in quickly. [14:57] <gordonDrogon> ok. never used either - sorry. [14:58] <Twistedgecko> now, it's "I played this???" [15:00] <Twistedgecko> lords of midnight? [15:01] <Twistedgecko> runs 100x quicker on a pi! 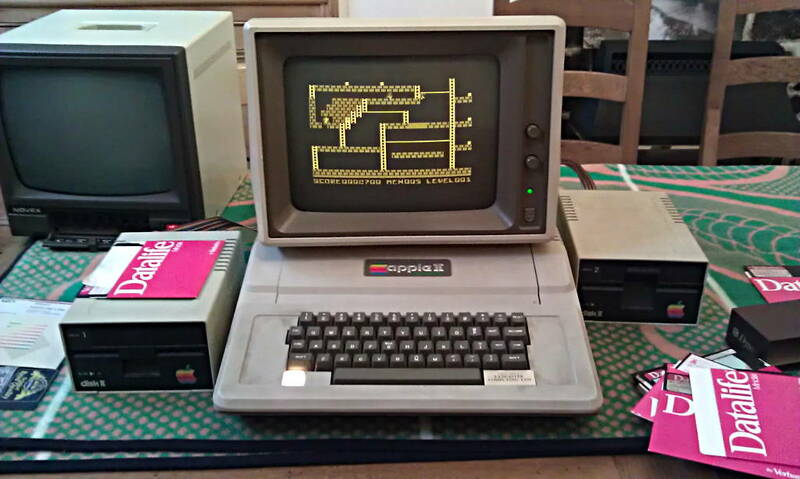 [15:07] <mullein> do the 1st gen rpis run c64 games in vice well? [15:09] <malinus> "Uncompressing Linux... done, booting the kernel." [15:10] <ali1234> you want "console=ttyAMA0,115200"
[15:10] <malinus> ali1234: oh right, I have that one too. Still I only get the first message. [15:11] <ali1234> did you enable the device tree? [15:14] <malinus> Yeah I'm using the official kernel. Let me check the device tree settings, thanks. [15:17] <malinus> Oh wait, I think I'm using a USB uart haha. [16:10] <Magik6k> Hello, I'm trying to create some very light kernel .config, but I'm getting tons of messages like `fbtft_device.c:(.text+0x4efdc): multiple definition of `rtw_hal_antdiv_before_linked'`. [16:28] <roberth1990> I have small slowdowns here and there when playing video via kodi, is that usually caused by an inferior power supply or does playing video over dlna prone to cause that? [16:28] <Spiffy> Is it over wireless? [16:29] <Spiffy> 95% of the time, that is the problem. [17:25] <cstk421> has anyone used raspcontrol or similar successfully ? [18:11] <pigrit> maybe it'd work better enough on the pi 2 than on the B+ ? [18:13] <pigrit> does it mind that cpu and ram are different ? 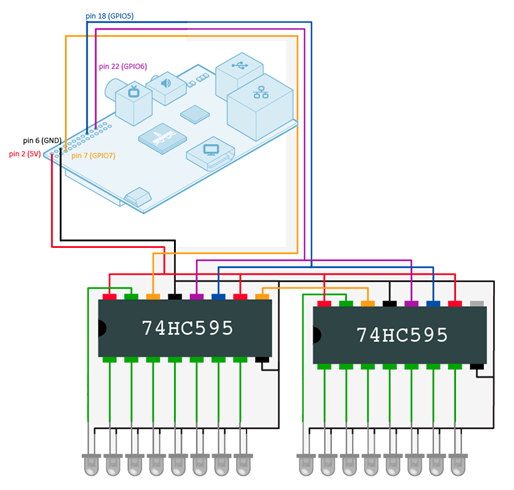 [18:34] <muesli4> Hi, is there some printable connector layout for the raspberry pi 2b? I want to prototype a wooden case. [18:37] <cstk421> has anyone used raspcontrol or similar successfully ? [18:39] <muesli4> d4rkforce: Thanks, but I found that one, and I need the perspectives from the 2 connector sides. [18:43] <muesli4> cstk421: That's not for version 2B. [18:43] <muesli4> darkforce: What program do I need to open it? 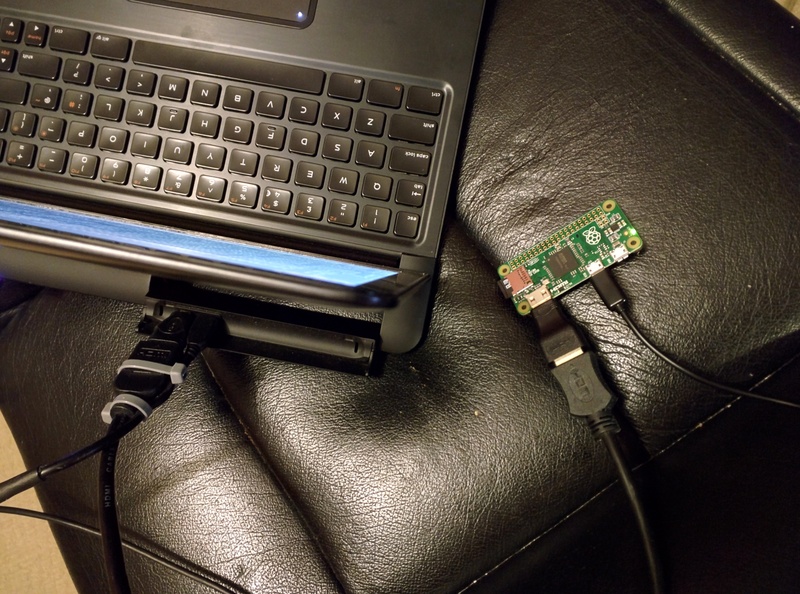 [19:11] <brianx> has anyone come up with a working hack for the pi zero to do wired networking at at least usb full speed (minus a bit of overhead i assume) for less than the cost of the zero itself? i've seen a few adapters but researching all of them showed really poor performance on the cheap ones. maybe lan-over-usb-otg? [19:12] <pksato> brianx: just buy a good usb enternet adapter. Some really is bad. [19:13] <brianx> anything that only doubles the cost and not more than doubles it? [19:13] <brianx> pksato, which one is good? [19:14] <pksato> one of these with usb hub. probably use same chip used on big rpis. [19:15] <brianx> microcenter is local which means tax makes that triple the cost of the pi. [19:17] <pksato> it is one of bad. [19:18] <brianx> pksato: QF9700 is the one i found the most and yeah, seems to be around 1mbps. [19:18] <pksato> I have on with mos chip or some thing. [19:20] <brianx> mlelstv: there is no disk read or write involved most of the time so it would be nice to keep up with the internet connection. i'm basically trying to replace my existing B with something that will give a couple more hours of battery life. [19:22] <brianx> mlelstv: spi to what chip? and i've never been able to get the pi to do spi reliably over 10mhz, but maybe my cable was too long. [19:23] <brianx> pksato: that one looks nice but it's still double the cost of the zero. [19:26] <brianx> pksato, that's unfortunate. at $10 for the ethernet, the zero doesn't make sense. adding a parallel battery costs less and meets the goal of extending run time. [19:28] <brianx> looks like currently my best answer is to parallel another battery until lan-over-usb-otg is a reality. [19:30] <brianx> wifi is cheap, but i'm trying to avoid wireless. this area is really bad with 2.4ghz traffic. [19:30] <lroe> Does anyone know how to netboot a r-pi 2? [19:31] <brianx> lroe: there is no way to boot without an sd card. you can bootstrap off sd and then root over network. does that work for you? [19:32] <brianx> does anyone know of a project working on lan over usb otg that maybe i could contribute to? [19:33] <brianx> lroe, sorry, you need something on the sd card to get going. the pi doesn't boot quite like a pc. [19:34] <brianx> the boot process is for the gpu to start first. it loads a bootloader from the sdcard which eventually transfers to the arm. [19:38] <brianx> heh, was wondering. [19:42] <brianx> still better than the only sub $5 ebay/ali adapters i can find and it doesn't use the usb. [19:52] <brianx> and damn simple too. 7 jumpers and a config.txt edit is about as easy as a dongle. [19:59] <brianx> http://www.ebay.com/itm/151758964587 looks to be the same thing and is under US $3 delivered. [20:22] <PiGuy> Hello, can I use a shift register on a raspberry pi 2 model b gpio with a touch screen ocupying the first 26 pins? [20:23] <gordonDrogon> if you have 3 spare pins, then yesz. [20:23] <PiGuy> gordonDrogon: Any 3 pins? [20:23] <gordonDrogon> more or less. 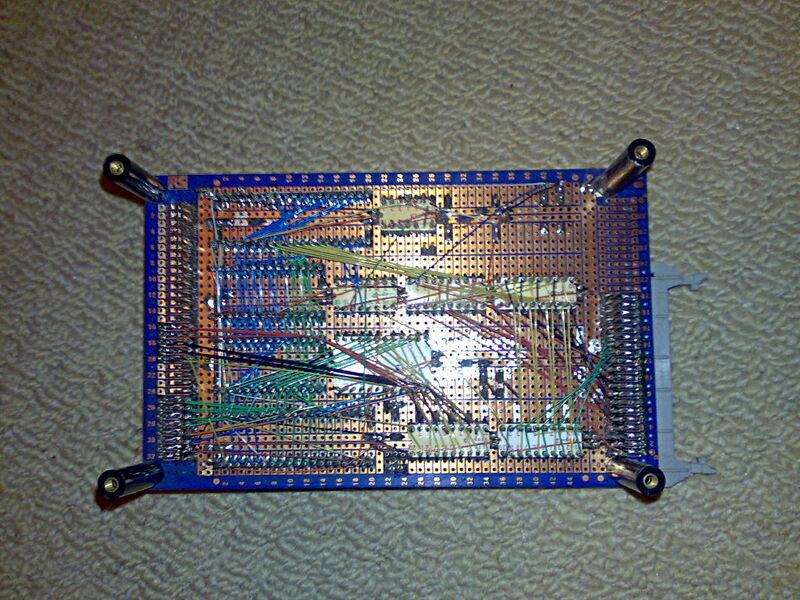 [20:25] <gordonDrogon> so after the 26 pins are taken up, you have 14 pins, of which 9 are usable GPIO pins. [20:26] <PiGuy> gordonDrogon: Great thanks. [20:26] <PiGuy> gordonDrogon: Do you have any schematics of this? [20:28] <PiGuy> gordonDrogon: Thanks, would that work with a 7495AN 7820 shift register? [20:29] <gordonDrogon> no idea. never seen one. [20:29] <gordonDrogon> if it takes 3 pins for clock, data and latch then probably. [20:30] <PiGuy> gordonDrogon: Alright, 74HC595 is the shift register to use? [20:30] <gordonDrogon> it's a very common one - which is why I wrote code for it. [20:34] <pksato> This LCD use SPI, all other pins are free to use. just not have header pins to easy access. [20:39] <PiGuy> Does anyone have a schematic of a shift register circuit for the raspberry pi? [20:40] <AiGreek> http://blog.idleman.fr/wp-content/uploads/2013/05/03_thumb.png this ? [20:41] <gordonDrogon> read that page - it'll show you how to wire it up. You can use the gpio command to test it too without writing any code. [20:42] <gordonDrogon> it's on that web page.. just scroll down a bit. [20:42] <gordonDrogon> not a schematic, but a drawing - which ought to be good enough. [20:47] <gordonDrogon> you just pick any 3 of the usable pins on the header then plumb their numbers into whatever software you're using to drive it. [20:49] <gordonDrogon> in the wiringPi pin numbering world, they are pins 0, 1 and 2. [20:49] <gordonDrogon> you mean the physical pins? [20:50] <gordonDrogon> physical 34 is 0v - not a good one to use. 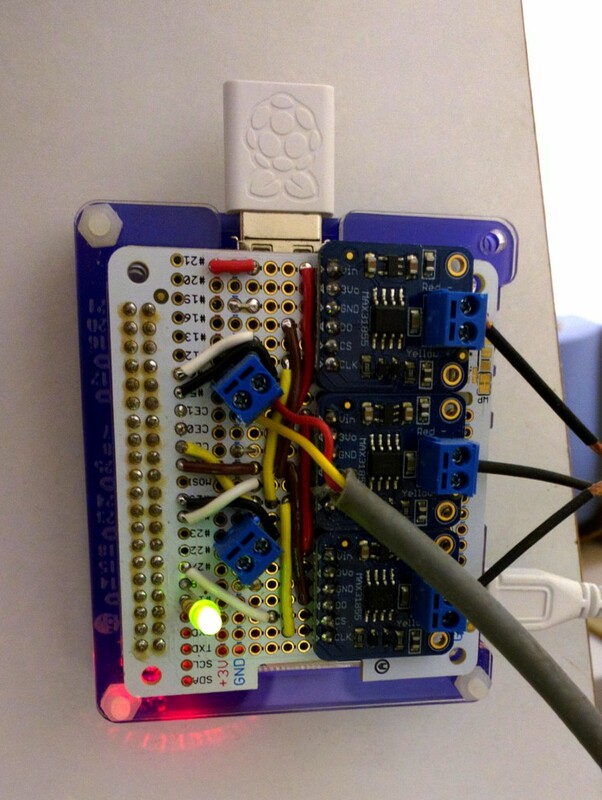 [20:50] <gordonDrogon> run gpio readall to get a picture. [20:50] <PiGuy> can I still use the other 24 on the right side? [20:51] <gordonDrogon> No. the shift register is output only. [20:52] <gordonDrogon> I'll be back later. gotta go and knead up about 20Kg of dough. 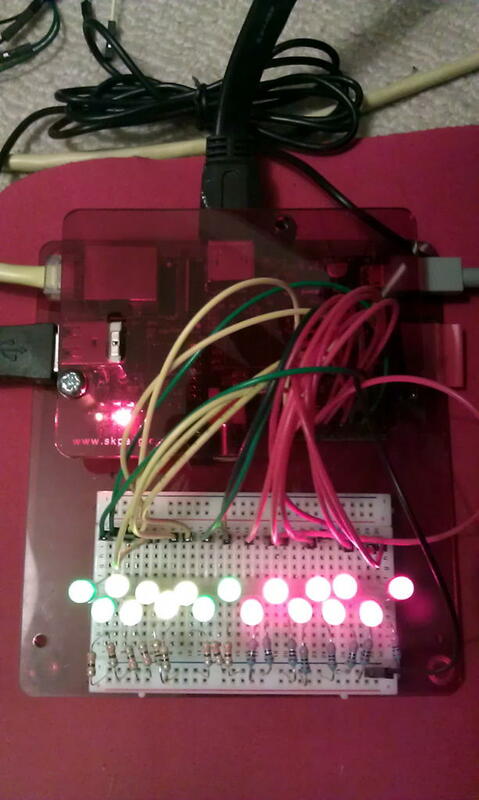 [20:54] <pksato> shift register can be use to generate scan lines, and read switches on one input pin. [20:55] <pksato> oh... :) sorry. [20:56] <PiGuy> How can I use buttons? [21:10] <alphis> hey what graphics drivers are used for rpi2 in raspian jessie? [21:34] <alphis> but in terms of kernel config drivers.. is there a driver for it? [21:34] <alphis> is it even open source? [21:34] <brianx> the current driver is not open source. it's a blob with a loader. [21:37] <brianx> the gpu's interface has been documented but i'm not sure how much progress has been made on a full open driver. [21:37] <brianx> Ispira: sweet. i'm using Fedora 23 on mine. [21:38] <Ispira> can you give me a link for the fedora23 source you used? [21:38] <brianx> i think you may be thinking about pidora. this is a pi2 and chisight.wordpress.com/2015/10/19/fedora-22-or-23-on-raspberry-pi-2 is my blog. [21:39] <brianx> i chose Mate. [21:39] <Ispira> im on a pi2 as well. [21:40] <brianx> no problem. the blog doesn't cover the need to set /sys/devices/system/cpu/cpuX/cpufreq/scaling_governor:performance yet. [21:40] <brianx> make sure you put the chip in performance or ondemand. [21:40] <Ispira> what does it run on by default brianx ? [21:49] <Ispira> I'm gonna wear my SD card out so quick. [21:58] <brianx> sd isn't as fragile as they used to be and swap isn't bad on even a 256mb pi b. [21:59] <brianx> a cheap kingston sd has been running since the beginning on the classic B here and the machine gets a lot of use..
[22:36] <traeak> isn't gpu_mem 512 a bit excessive? [22:50] <noexcept> i want to install gentoo on my pi2, should i use armv7a pr armv7a_hardfp stage? [22:51] <traeak> gentoo? you have a place to compile things? [23:03] <Jakdaw> Can anyone point me in the right direction to figuring out why a fresh rpi buildroot image might be having troubles resolving symbols "glDiscardFramebufferEXT" and "glPointSizePointerOES" when trying to invoke gst-omx? [23:21] <Ispira> anyone here have experience running theirs as such? [23:30] <Ispira> is raspbian very bloated stock? [23:55] <uriahheep> if you want something lightweight try void.